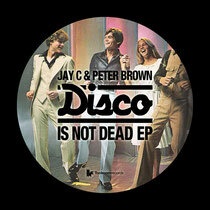 Jay C draws on his wealth of club knowledge to channel the sunny funk-drenched sounds of the Balearic Isles into the ‘Disco Is Not Dead EP’ with fellow DJ/producer Peter Brown. Lead track ‘Disco Is Not Dead’ embodies its moniker to the maximum, thanks to infectious programmed loops and percussion, that from the off, shows its intent as a club tune. ‘You Lose Her’ mixes up disco vocal loops and low frequencies that give a serious serving of rich analogue warmth throughout the entire EP, giving off sunnier vibes for the winter season. It’s out now, check Soundcloud out below.